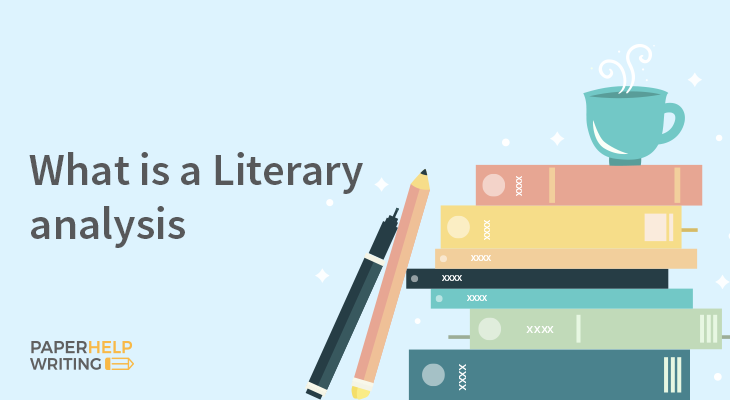 Literary analysis is a special type of academic paper aimed at providing a profound analysis of a certain part of the text. Since modern writers prefer including numerous plots, settings, and characters into their works, this type of analysis is greatly appreciated. It allows checking the entire meaning of the text, its main idea, and the top arguments with support details. The literary analysis allows better understanding and appreciating various works of literature. If this exceptional kind of assignment is quite difficult for you, you can always find a reliable online writing company to help you with your academic works accomplishment. Literary analysis has the same structure as other popular academic works. Therefore, it contains a title, an introduction, main paragraphs, conclusions, and a reference list. When dealing with literary analysis, first check the analyzed work of literature, and then start completing your paper. When you want to analyze Shakespeare’s play, make sure to focus on the main theme centering the main characters relations as well. While dealing with novels, it is also great to focus on the protagonist’s behavior and actions. The literary analysis allows analyzing various works of literature, including poetry, novels, plays, films, etc. When you need to prepare a literary analysis, first you need to write an outline. With a correct outline, you will improve the entire writing process. In addition, an outline works as a detailed plan of your future paper, thus you will never forget about important elements or characters to include in your literary analysis. An outline helps to organize the entire paper in the way it is easy to reveal every idea and secondary plots in details. The title is an important element of every literary analysis. Thus, make sure to pay enough attention once preparing a title. It must cover the main plot of the analyzed work of literature. Besides, the title shows the readers what the entire paper will be about, and what conclusions they need to expect. In a case, you are analyzing Hamlet’s tragedy, the most appropriate title will be the following one: Hamlet: The Way Revenge Brings Only a Tragedy. The thesis statement is the main idea of the entire text, thus once preparing the thesis, check the context of the work for a few times more. The thesis statement must include the main principle presented in a work of literature. In addition, always place the thesis into the introduction, thus you will give readers a chance to know what to expect to read in the paper. The main thesis often is represented by a simple question. Question: How does the Shakespeare describe revenge in his work? Thesis: Revenge is portrayed as a simple way to get even more problems, which also leads directly to a real tragedy. The introduction paragraph is aimed at delivering the main idea of the paper and revealing the main arguments. In addition, this part of the text includes the name of the author and the title of the work. The introduction needs to be catchy and informative to keep readers’ attention. An introduction example: Revenge was quite popular in the time of Shakespeare. The main protagonists in the works of literature were committing crimes in the act of revenge. They were craving for revenge, which only brought more tragically events. The one, who was committing crimes, usually ended up entirely destroyed at the end. The nature of revenge is quite complicated, but it always leads only to more suffering. Hamlets’ personality is aimed at highlighting the nature of revenge and evaluating the kind of decisions made. Shakespeare used Hamlet character to reveal the real meaning of revenge and its consequences. There is no need to summarize the entire story, once providing main paragraphs. It is enough to prepare a brief summary of the main plot. You can add your own observations and ideas at the end of the analysis. Besides, most of the popular works of literature are quite well known, thus your readers are probably well aware of the work you are writing about in your analysis. Generally, a literary essay contains about 700 words divided into three main paragraphs. These paragraphs often contain numerous quotes from the book and the writer’s interpretation of the analyzed material. Each body paragraph contains an argument, which is supported by the evidence from the analyzed work or by your own observations. A brief summary of the main plot that contains the main events, characters, and other important details. Include quotes to prove your arguments and to bring an additional explanation of the events occurred or the main characters’ actions. Provide proper textual evidence, including direct quotations, etc. Check and identify the writer’s technique. Paraphrase the most important ideas of the paper in order to transform the author’s thoughts into your own writing. You can paraphrase long quotes to make the entire paper more readable and the quotes more understandable. Bring the readers’ attention to the details. With the slightest details described, it is often easier to explain the main plot of the story. Use proper transitions between the main body paragraphs. End body paragraphs with an eye-catching sentence or call-to-action. Writing the conclusion requires to provide a short summary of the analyzed word and outline the main points and ideas of the story. A sense of completion, which allows finding the answer to the main question presented by the main thesis. Provide a short summary of the main arguments revealed in the work of literature. Provide final thoughts and recommendations. Outline the most important points. Reveals the authors writing technique’s peculiarities and the author’s point of view. Conclusions Example: Although various characters have own reasons for an act of revenge, the result of the familiar desire is always the same. The revenge brings only more tragedies and bad consequences. Claudius was punished for his desire to get rid of Hamlet by the distortion of his consciousness. Hamlet’s desire for revenge has brought only more deaths, including his own. In fact, his decision could have only one result – and it really ended up with his death. Writing a proper literary analysis requires a deep understanding of the analyzed material and great writing skills. For many people, literary analysis is a challenge. Besides, this work takes a lot of your time needed for writing a draft and then preparing an entire paper. In addition, literary analysis is not a simple report, but a new version of a profound analysis of the main story. There is no need to write a simple summary of the text, hoping to impress your tutor. You need to provide a good paper that contains results of analysis and your own observations. Moreover, your paper must include the main plot of the analyzed work of literature, top characters description, main ideas revealed, and the analysis of the way the author represents his story. It is important to provide a great thesis statement and find enough evidence in the analyzed material to prove the main arguments. If you face significant problems with your literary analysis, our writers are willing to prepare this important and complex work for you. We know what main elements a literary analysis must contain and how it needs to be written properly.